I'm sure we all know Walmart as a store which recently dive into producing smartphone, currently they are about launching new tablet spotted with some cool features but am not sure of competing with Samsung Galaxy Tabs. 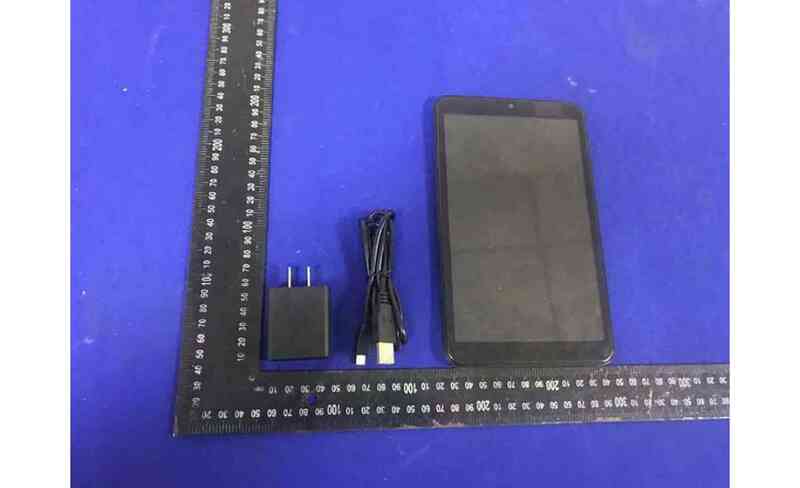 The leaked image has revealed the phone with nice design and it has been tagged with kid-focused tablet, maybe its for the kid lol but the fact is that the tablet is friendly running Android Pie OS. As we brings to you the tablet has already passed through the FCC which mean it's almost ready to be launch but the date and price have not been confirmed. However, the tablet is said to offer a 8-inch 1280x800 display, according to a list leaked by XDA-Developers' Mishaal Rahman. It'll also include a MediaTek MT8163 processor, 2GB of RAM, 16GB of storage, a microSD card slot, and a 3500mAh battery that you'll recharge over microUSB. The tablet has a front and rear cameras, I hope the camera serve purpose as it is looking so tiny, well since its kid-focused tablet then kid doesn't need more of camera. So far the screen s big enough to serve game purpose then what else. Once more the phone will be launch soon with no specific date and price but most likely to be expensive. Thanks for checking here and reading through.